The College of Arts and Sciences (CAS) has developed guidelines that integrate perspectives from humanities, arts, social sciences, natural sciences, and physical sciences. The official criteria and procedures for advancement to tenure and promotion in rank are found in the Washington State University faculty manual. The CAS procedures and guidelines are intended to supplement the University guidelines and explain their application within the college. Faculty hired in the former College of Liberal Arts (CLA) prior to August 2013 and who are not yet tenured have the option of following the current College of Arts and Sciences tenure and promotion guidelines or following the former CLA tenure and promotion guidelines. 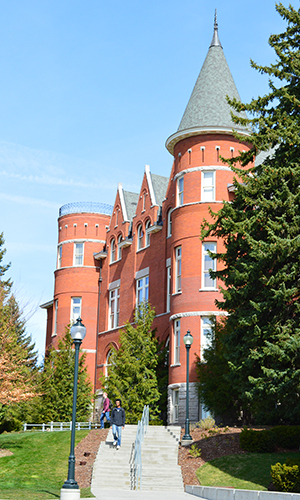 Faculty hired in the former College of Sciences (COS) prior to August 2013 and are not yet tenured have the option of following the current College of Arts and Sciences tenure and promotion guidelines or following the former COS tenure and promotion guidelines. If you are planning to apply for a Fulbright or any other prestigious fellowship, please review the CAS Fellowship Policy (pdf) and contact Amanda Yager prior to completing your submission. The CAS Process for Curriculum Changes (pdf) is provided to assist faculty and staff in understanding the process for curriculum change and to facilitate effective coordination of curricular decisions. Note: It is the department’s responsibility to ensure that proper forms, documentation, and all required signatures are obtained prior to submitting a request to the Dean.